Performance data supporting “quality of life” is the focus of USGBC and GBCI’s new for-profit subsidiary, which will work with the LEED Dynamic Plaque. Scot Horst is moving from chief product officer at USGBC, where he has led LEED development and created the LEED Dynamic Plaque, to CEO of Arc Skoru, which will continue to develop the plaque and related data-driven tools. Editor's note 1/5/17: This article has been updated to reflect a change in Arc's name that was announced subsequent to GBCI's initial announcement. Green Business Certification Inc. (GBCI), the sister nonprofit to the U.S. Green Building Council (USGBC), recently announced the launch of wholly-owned subsidiary. The new for-profit company, Arc Skoru Inc., is a tech startup with the job of providing data-heavy tools supporting the missions of GBCI and USGBC. 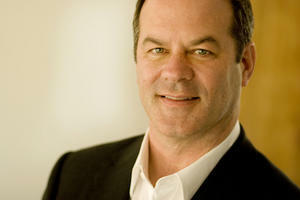 Arc will be led by Scot Horst, who is moving to become Arc’s CEO from his role as chief product officer at USGBC. At USGBC, Horst has been instrumental in bringing LEED v4 to market, as well as in developing and launching the LEED Dynamic Plaque. These statements essentially describe the function of the LEED Dynamic Plaque and its underlying data platform, LEEDon. According to Horst, Arc is taking control of the development of those platforms, as well as (gradually) LEED Online, the platform that LEED projects use to compile and submit documentation. In the future, expect these LEED platforms to shed their distinct identities: USGBC is promoting a pilot announced earlier in 2016 (see Dynamic Plaque Piloted as LEED Performance Path) where buildings can enter performance data into LEEDon as a way of satisfying key prerequisites and credits that would normally be documented through LEED Online templates. In addition, expect Arc to provide a platform that makes different rating systems more accessible to projects. USGBC maintains and owns standards. Arc develops and invests in technology supporting both organizations. “The mission of Arc is to connect all actions in a single platform that support a higher quality of life,” Horst told BuildingGreen. 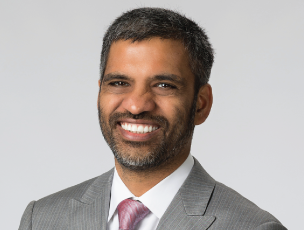 Mahesh Ramanujam, CEO of USGBC and GBCI, which owns Arc, will play a leadership role in the fledgling company. A current project at Arc is to allow projects to generate scorecards for rating systems they’re not even registered for. Using compatibilities and formally recognized “crosswalks” between rating systems, a LEED project in arc could see an automatically generated scorecard for the WELL Building Standard. That might encourage projects to look at additional programs, and ultimately to improve the health and wellness of projects from different angles. Horst noted that Arc could also build performance scoring systems for rating systems other than LEED—in other words, a WELL Dynamic Plaque, or the equivalent, could arrive in the future. Horst acknowledged that it is unusual for a for-profit company to be spun off from a nonprofit. He pointed to National Geographic Partners as a recent example, which is a for-profit media company owned jointly by the nonprofit National Geographic Society and 21st Century Fox. The for-profit venture was spun off from the nonprofit just last year, with an investment from Fox of close to a billion dollars. In addition, currently registered and certified LEED projects will have automatic access to the Arc platform as of Dec. 1, 2016. As USGBC noted in its announcement, this is the first price increase since 2010 (which came on the heels the last new LEED version deployment). In making Arc available free to any registered or certified project, USGBC and GBCI are accomplishing a couple of things, according to Horst. LEED 2009 projects required to track and report energy and water data can use arc. “Hopefully we’ll see a big uptake for people just using it for that,” says Horst. Additionally, any project can enter data and generate scoring without an immediate commitment to certification. “You’re setting up your own benchmark against yourself,” says Horst. “People improve when they benchmark against themselves.” And in addition, “We want buildings to benchmark themselves against LEED buildings to see how far away they are, and then hopefully pull them in to do more to get certified.” Also, cities, communities and districts can use Arc to start tracking data and earn LEED pre-certification, according to GBCI. “LEED has always been about recognizing the market leaders. Arc has the potential to engage the entire market. "LEED-EBOM has been a success only in a relatively narrow subset of the commercial office buildings market. Arc may reach a broader market. “We now have three separate metrics for energy. BD+C uses percentage improvement in energy cost against a code baseline. LEED-EBOM uses site energy compared to the CBECS data through Energy Star. Arc apparently uses some normalized version of CO2 emissions per building occupant. All three have their issues, but we really need to pick one. “The USGBC has done a terrible job at explaining the long-term vision for Arc, while still managing to upset many of the consultants doing EBOM work. USGBC should let us see the entire vision—many of us, once we understand the whole thing, will become strong supporters. What do you think of Arc and USGBC and GBCI’s strategic directions? Please comment below.